There is a new hobby in town! 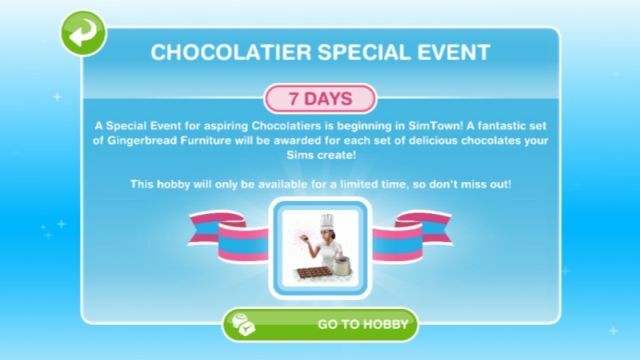 For the first time in The Sims FreePlay we have a chocolate making hobby! And it has been launched in the game connected to an event whereby you can unlock up to seven sets of gingerbread furniture.We have full details about this time limited event over on our guide to FreePlay here .